Indulge in the moment with this basket full of some of the finest cheeses from around the globe! 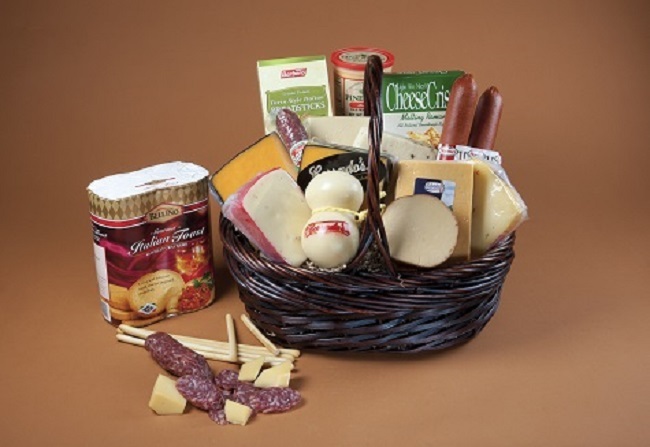 This gourmet basket includesa selection of eight popular cheeses. Fontina, Asiago, Swiss, Jarlsberg, extra sharp cheddar, Holland Gouda, semi-sharp provolone and gourmet cheese spread with Italian salami and breadsticks and crackers.